It's been awhile since I've updated - sorry about that! 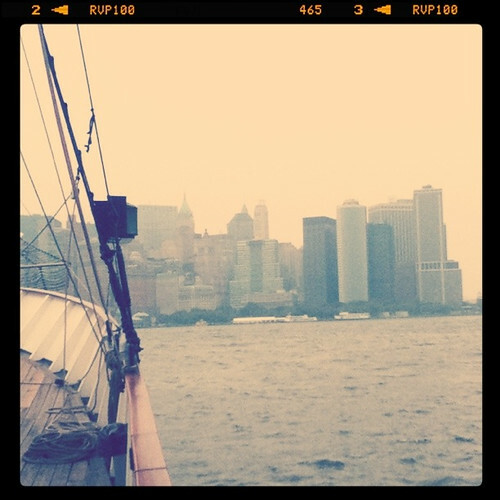 Things have been crazy, as predicted, with our vacation to NYC earlier this month + the pending move. I DO have some (nicer) photos that I took from the 4th and a few from our vacation that I will share as soon as I manage to dig out my USB cord from wherever it got stashed while packing up the house, but wanted to share these in the mean time (the iPod touch is no Canon 5d, so bear with me...). 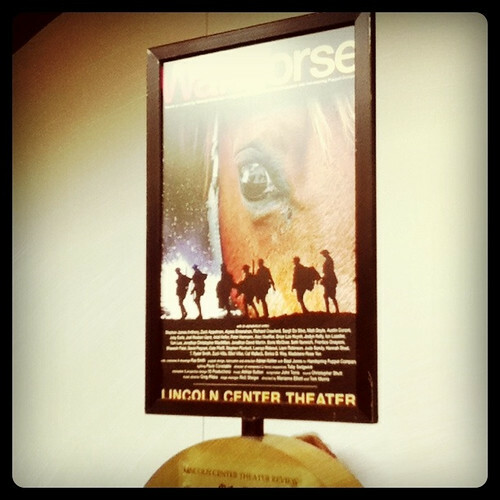 War Horse at Lincoln Center, which won the Tony this year for Best Play. We had fourth row seats and the play was absolutely amazing. Such a great experience!! 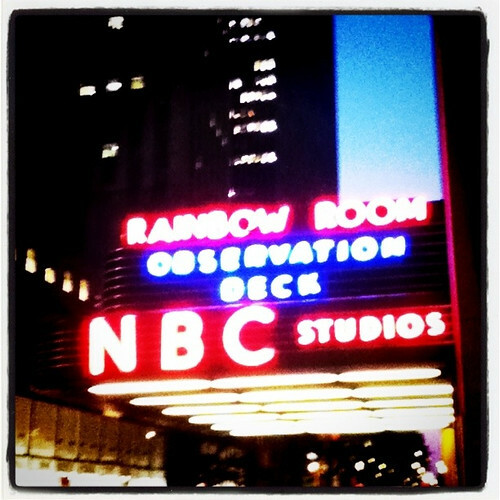 Walking by NBC Studios one evening. 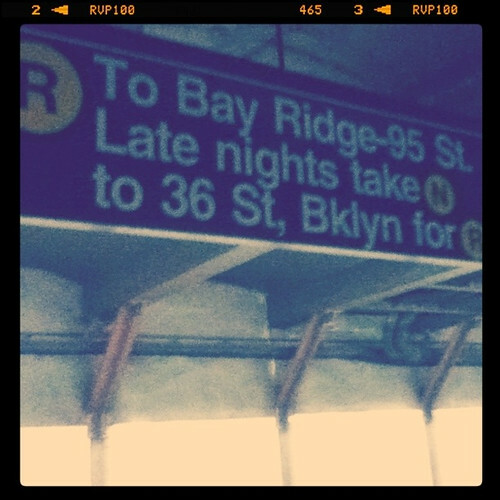 Braving the NYC Subway system on our last day there (we did a LOT of walking). We got tired of walking around the South Street Seaport, so we decided to take a 90 minute sailboat cruise around the Statue of Liberty. 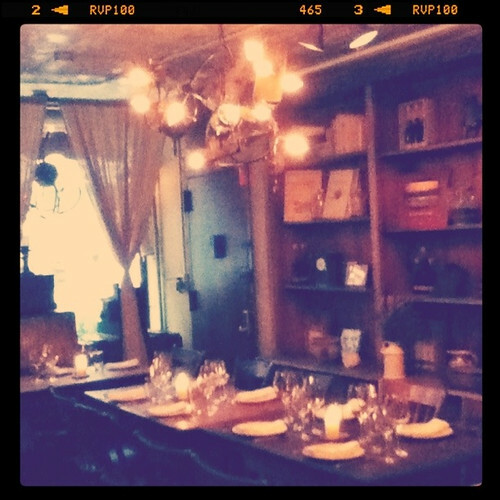 On our last evening in the city, we went to an amazing restaurant called Il Buco. It was so cute inside, and the food was delicious. If it's any indication on how good it was, I'm still drooling over the salad appetizer. Salad!! And finally, a lovely "Where's Waldo" type photo from one of the Blake Shelton videos on The Today Show's website. I went to the early morning concert but was pretty far back, however, I still managed to make my (back of the head) tv debut!